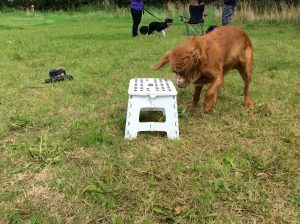 Karen is able to offer a broad range of training help and advice for your dog on such things as puppy training, problems with recall, jumping up and other domestic manners. 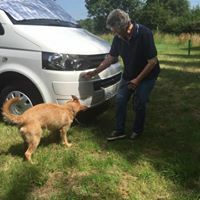 These will often be as a couple of one-to-one sessions timed to fit in with your availability, coupled with telephone and email support. 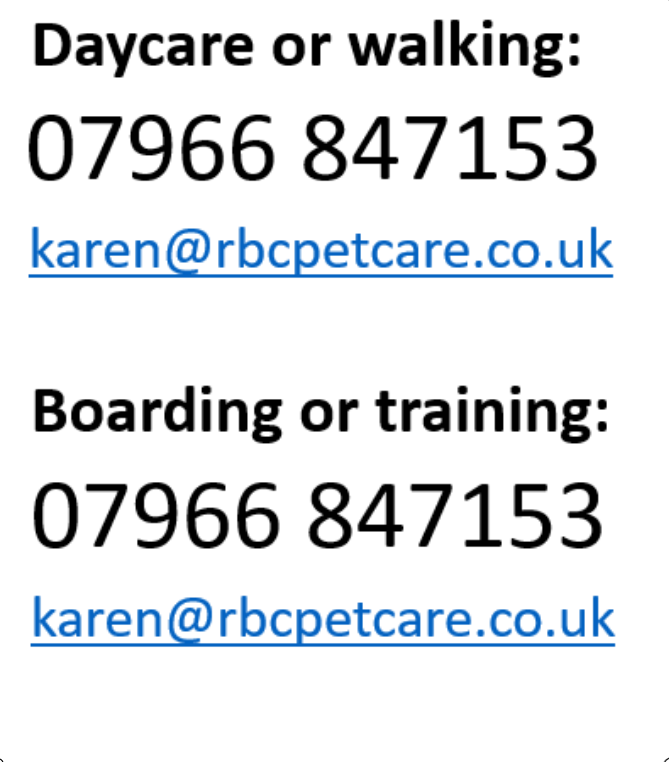 If groups are preferred Karen can link you in with the local dog training clubs and groups. 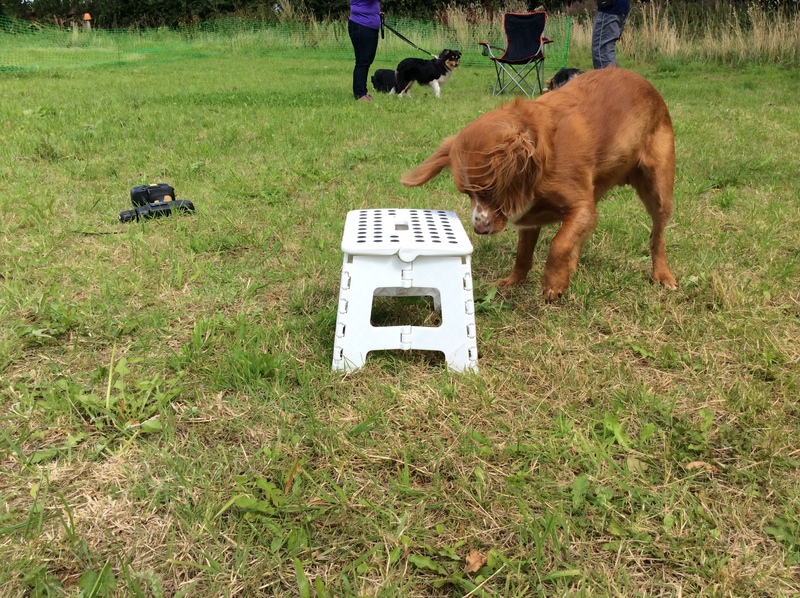 Karen does not have sufficient time at present to take on dogs with more complex issues such as aggression. 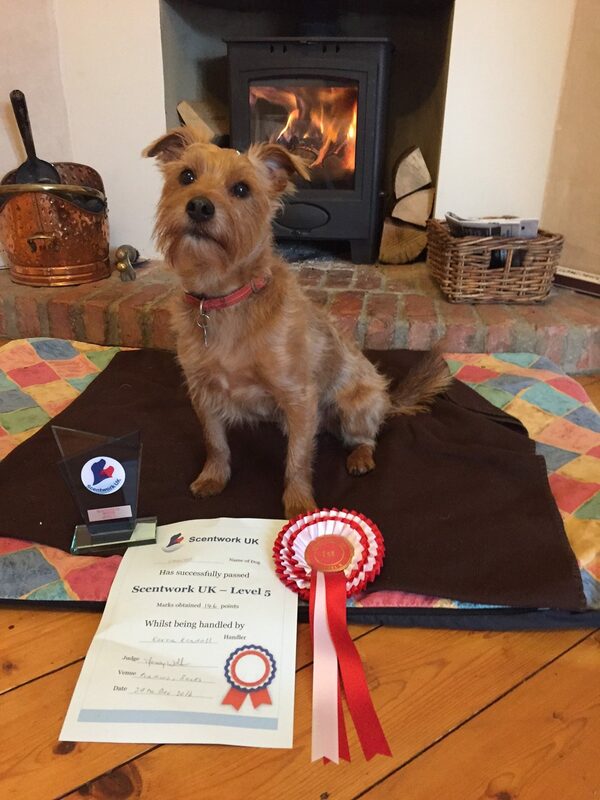 Karen is a Scentwork UK approved and recognised Judge and Trainer and also a qualified Kennel Club Judge and Trainer in Rally Obedience and Examiner for Bronze and Silver in the Kennel Club Good Citizens Award Scheme. 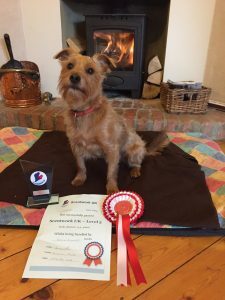 After winning and qualifying at Scentwork Trials up to Level 6 with her terrier Charlie, Karen is delighted to offer a range of daytime Scentwork courses for pet dogs. These are great for all shapes and sizes and breeds and dogs dont need to have any formal training before joining a class. All they need is their nose. 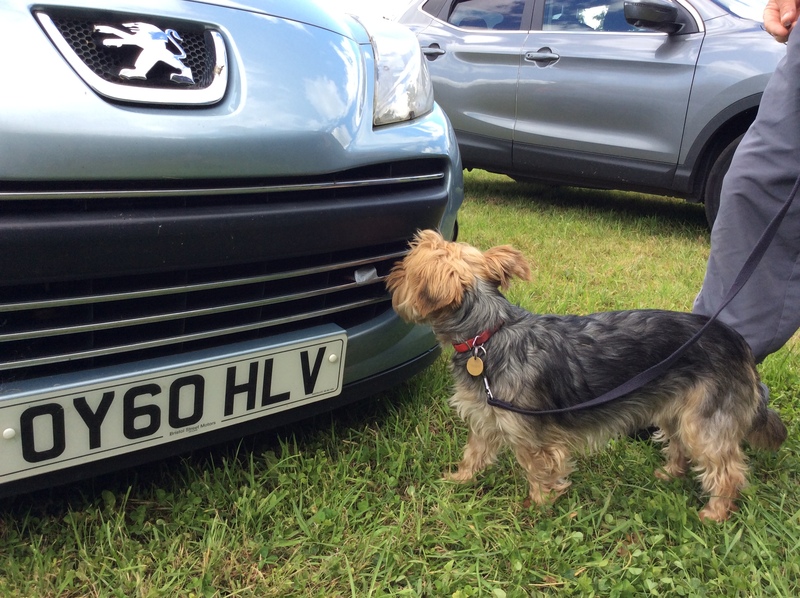 Contact Karen to find out about scen two rk and when the next course is due to start!